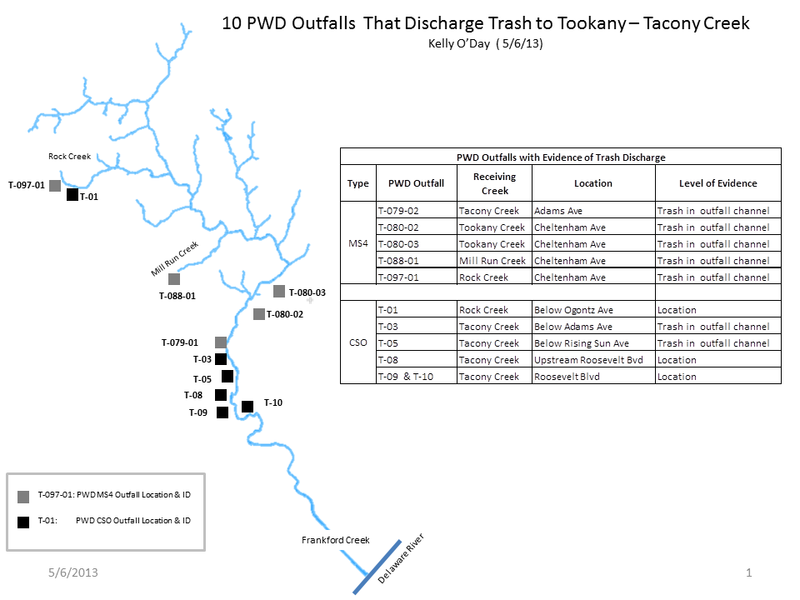 This map shows 10 Philadelphia Water Department combined sewer and separate storm sewer outfalls that carry Philadelphia litter to the Tookany-Tacony-Frankford Creek and its tributaries. This slideshows shows detailed map location of each outfall and photograph of outfall trash downstream of outfall. Click any image to enlarge slides. A pdf file of this slideshow is available here.